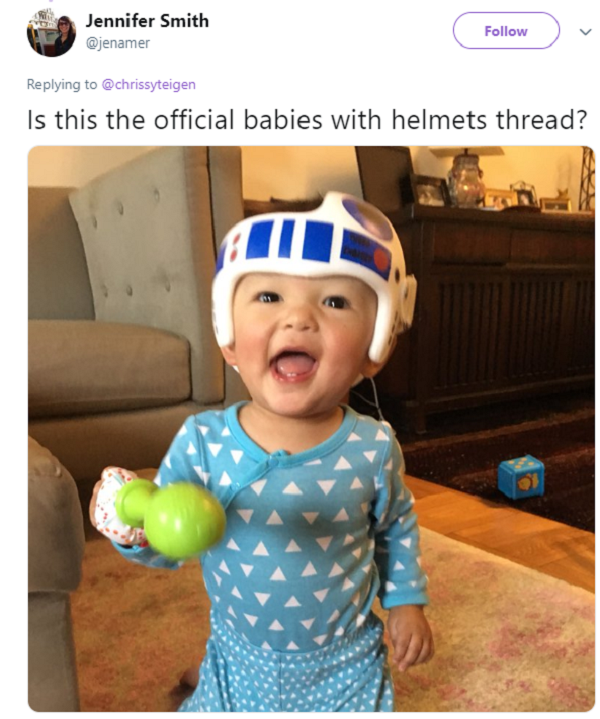 Chrissy Teigen Reveals Photo Of Son’s New Helmet & Twitter Has Best Response. 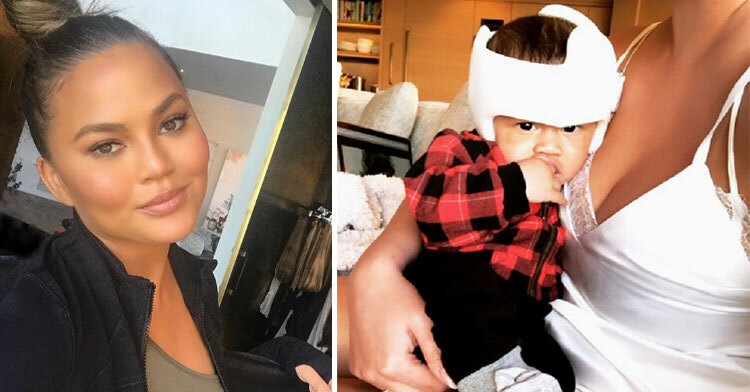 Chrissy Teigen shares a lot of her life on Twitter, so it makes sense that she’d include the world in the latest news about her adorable baby son, Miles. 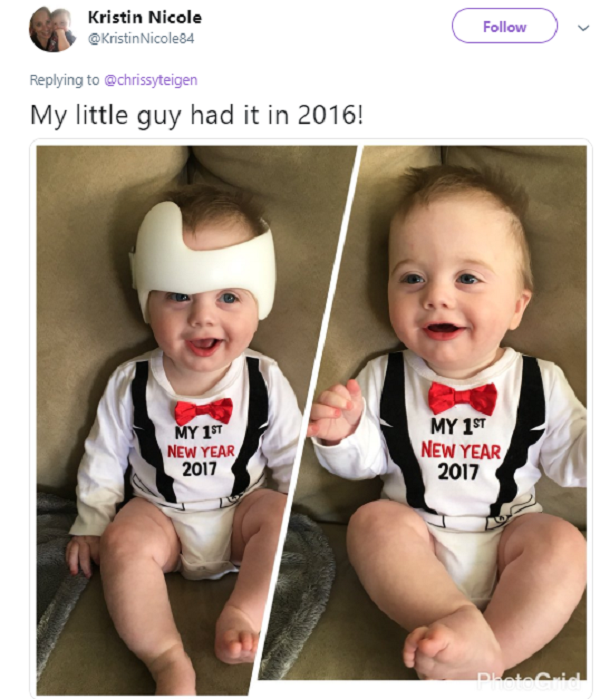 Like many infants, Miles requires cranial orthosis, commonly called “helmet therapy,” to correct his skull’s shape. Since baby’s heads are still soft and continue to form after birth, their skulls can become misshapen simply from sleeping on one side more than another. 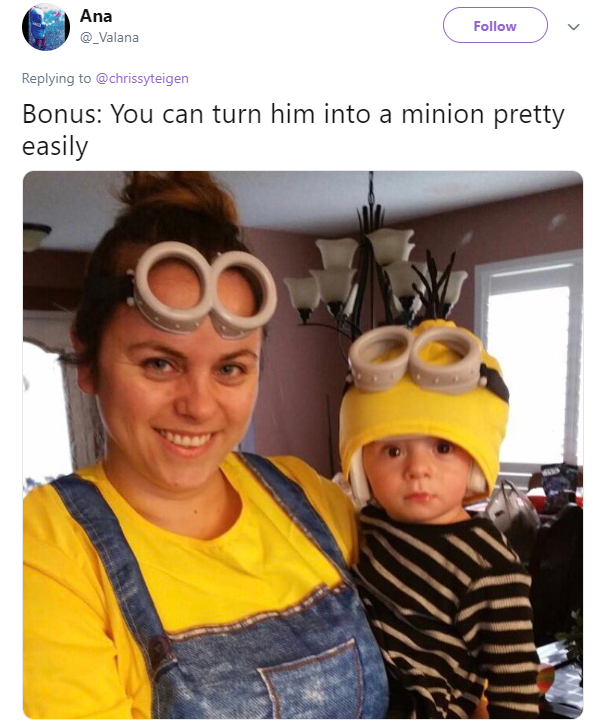 Chrissy’s son Miles is going to wear a helmet for a period of months until his skull shape corrects, so naturally, she told her 10 million Twitter followers not to be alarmed when they see her son in his new headgear. 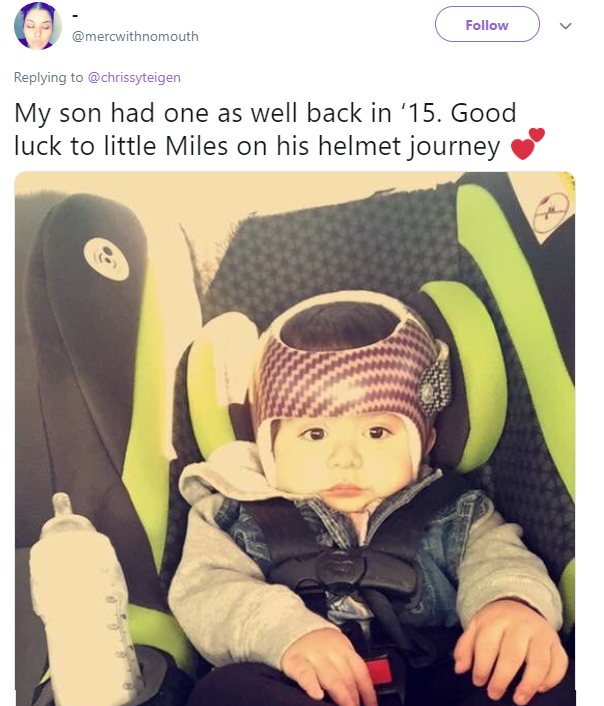 “Baby Miles getting fitted for a little helmet today for his adorable slightly misshapen head. So if you see pictures, don’t feel bad for him because he’s just fixing his flat and honestly he’s probably gonna be even cuter with it somehow,” Chrissy wrote on Twitter. 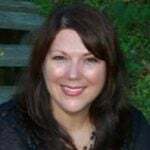 Chrissy was no doubt trying to mitigate any hateful messages she would have received from uninformed people who didn’t understand helmet therapy. 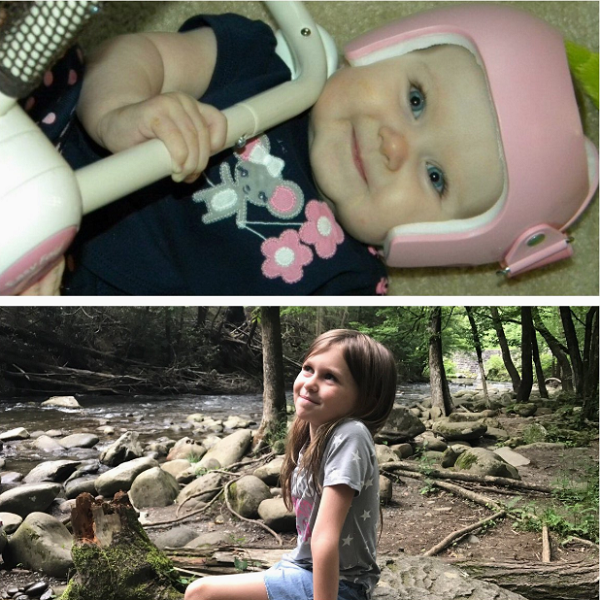 Instead, she received an outpouring of support from other parents whose kids went through helmet therapy themselves. “7 years ago my baby girl needed a little help too. Now she’s a perfectly symmetrical (and healthy and smart and beautiful) big girl!” wrote one fan. 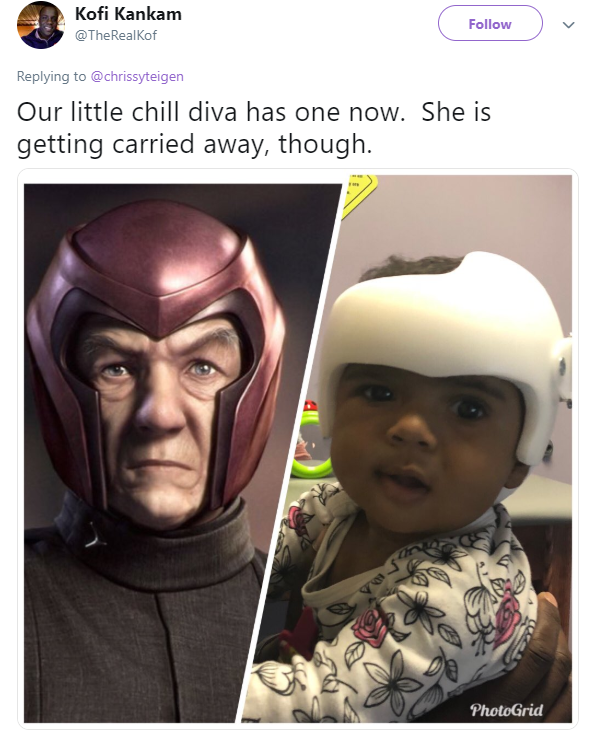 What followed was a flurry of adorable helmet baby pictures that prove Miles is in excellent company. 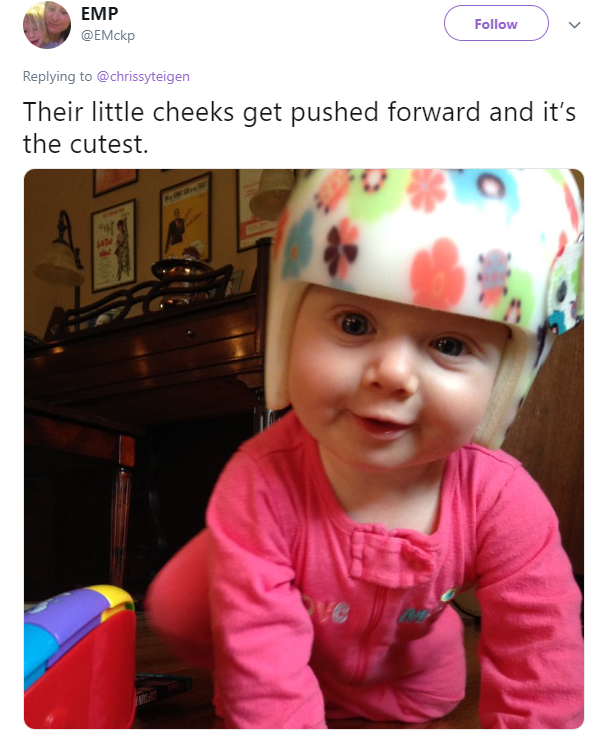 Turns out, babies wearing helmets is not only a common occurrence, but the helmets can be pretty darn cute, to boot! Chrissy and husband John Legend seemed delighted by the support, and it’s nice to see Twitter users being so positive. 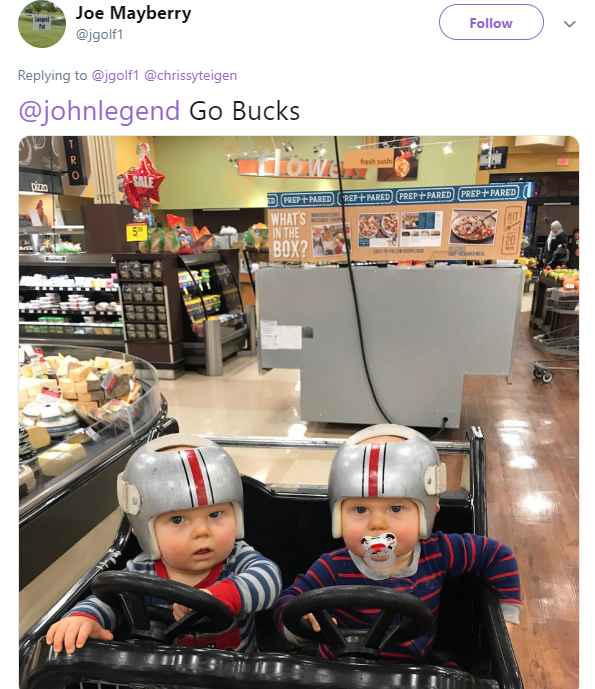 We’re sure that these sweet helmet baby pictures benefited not just Chrissy and her family, but all who saw them online. 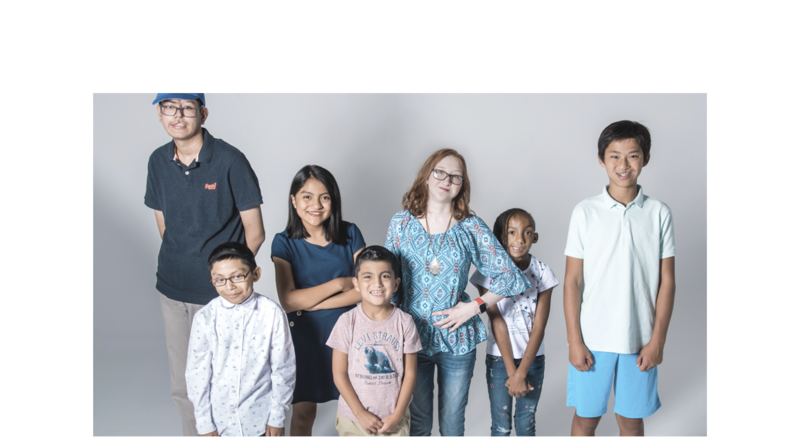 Just knowing that you’re not the only one whose kids are going through treatment like this has to feel good! We genuinely didn’t think Miles could get any cuter, but just look at him! 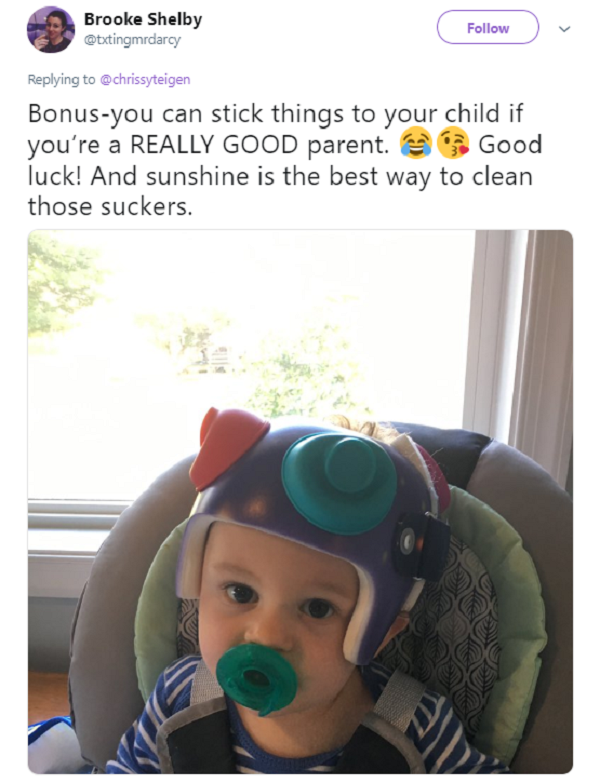 He’s rocking that helmet, and we’re sure once his fashionable mama starts dressing it up with stickers and whatnot that he’ll be the talk of the playground. Please share this story so other parents of kids doing helmet therapy can see that they’re not alone.